See one of Tammy's performances here. The Opolo Winemaker’s Dinner at Francesca’s Bellezza features wines from California’s Opolo Vineyards. Tickets are $52 per person, excluding tax and gratuity. Reservations are required. The evening starts with Cicchetti, an assortment of small bites paired with Opolo Sparkling Wine. This is followed by Capesante e Arancia, pearl pasta with jumbo sea scallops and baby spinach in blood orange sauce paired with 2010 Roussanne. The next course is Papardelle con Anatra, papardelle pasta with a duck confit, vegetables, stewed tomatoes, oregano and parmesan cheese. Opolo’s 2007 Grande Rouge is the perfect pairing for this course. The final course is Filetto con Polenta, pan-roasted beef tenderloin topped with mascarpone polenta and black cherry pepper reduction paired with 2010 Mountain Zinfandel. Monday, February 27, is National Chocolate Cake Day! Let’s celebrate by partaking in the lavish and decadent dessert offered at several great bakeries and restaurant in Chicago. 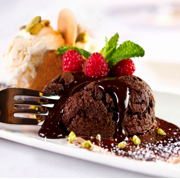 Fleming’s is serving up their Chocolate Lava Cake every night on their dessert menu. It’s a rich chocolate cake with a molten chocolate center of Belgian chocolate, served with vanilla ice cream and chopped pistachios. You can’t get much better than that…. The chocolate lover in all of us is sure to be satisfied with upscale offerings of chocolate cakes that Vanille has to offer. Choose from the Sofia , a chocolate mousse with vanilla cremeaux and hazelnut crisp, the Manjari , a flourless chocolate cake with a dark chocolate mousse, dark chocolate cremeaux, and dark chocolate glaze, or The Earl, a chocolate tart shell, banana caramel and earl grey tea infused milk chocolate mousse. Each piece is only $6.65 and serves two. Delightful Pastries is going the more traditional route by offering their Death by Chocolate Cake by the slice. Layer upon layer of chocolate cake will please even the biggest chocolate fiend. Or, for a bit more excitement, special order their German Chocolate Cake to take home and share! Sometimes a good ‘ole cupcake will do the trick. Take home a dozen gooey and moist chocolate cupcakes from Sweet Miss Giving’s in original sized or mini! 100% off all their profits go to charity. How sweet it is! The first thing that comes to a girl’s mind when she thinks of her prom is the age old question: “What am I going to wear?” So with prom season fast approaching, Westfield and The Glass Slipper Project will make the answer to that question much easier for local teens in need. Starting March 19-24, Westfield Old Orchard (Skokie Blvd & Old Orchard Rd. Skokie, IL 60077) and Westfield Hawthorn (122 Hawthorn Center, Vernon Hills, IL) will be working with The Glass Slipper Project to collect new and lightly used prom attire and accessories. They are putting out a call to action to the community to collectively donate over 1700 dresses to provide area teens with a full prom ensemble for the special night. This is the first year both Westfield locations will be participating in the Donation Days, which leads up to the annual Boutique Days events held Saturday April 14, 21, and 28. There, participated girls will enjoy shopping for their dresses, accessories, and beauty products from the assortment of donated merchandise. If you have merchandise that you’d like to donate, Westfield Old Orchard shoppers can drop off donations at the Concierge Center located in the service collection next to Helzberg Diamonds. Westfield Hawthorn shoppers can drop off donations at the Concierge Center, located on the upper level near Carson Pirie Scott. Each shopper who donates merchandise will receive one $10 Westfield Gift Card and a variety of special retailer offers. Additionally, Westfield is getting into the prom spirit by hosting several free prom-themed events at the Old Orchard and Hawthorn locations. March 24 marks the Pre-Prom Party Celebration where shoppers can enjoy music provided by a local DJ, prizes, and the crowning of a local area “prom king and queen”. Those that attend will also have the chance to win a spa “prom package” from Mario Tricoci salon and a $300 Westfield Gift Card. Shoppers can also stop in to Westfield Old Orchard Lord & Taylor March 24 to enjoy a free fashion show highlighting current trends in prom fashion, and Bloomingdale’s April 14 for a prom shopping event offering music, make-up touch ups, and special gifts with purchase courtesy of BCBG! This month, several Francesca’s restaurants present wine dinners featuring the Italian wines of Buglioni Vineyards. Tickets are $65 per person, excluding tax and gratuity. Reservations are required. The evening begins with a cocktail hour featuring Crostini con Fegatini di Pollo con Ricotta e Pomodorini, crostini with chicken liver pate or with ricotta and sweet tomatoes. This is paired with “Il Vigliacco” Brut Rose. Following this is the first course, Gamberoni con Cannellini al Rosmarino, jumbo shrimp with cannellini beans and rosemary topped with arugula, paired with “Il Intruso” Bianco Veronese. The next course features Pappardelle con Funghi Selvatici e Polletto, handmade pappardelle with wild mushrooms ragu and charred chicken breast with Parmigiano. The Valpolicella Classico wine pairs perfectly with this course. Next is Costine di Bue Agli Aromi con Polenta Bianca, braised short ribs with herbs, au jus and creamy white corn polenta paired with “Il Bugiardo” Valpolicella Classico Superiore Ripasso DOC. The dinner ends with Degustazione di Formaggi con Frutta, a cheese tasting with fruit, nuts, sweet gorgonzola and pecorino grand cru. “L’Amarone” Amarone della Valpolicella is paired with this course. The middle of February is just about the time the winter blues can take over. Fortunately, there’s a holiday ready to clear those blues right up! 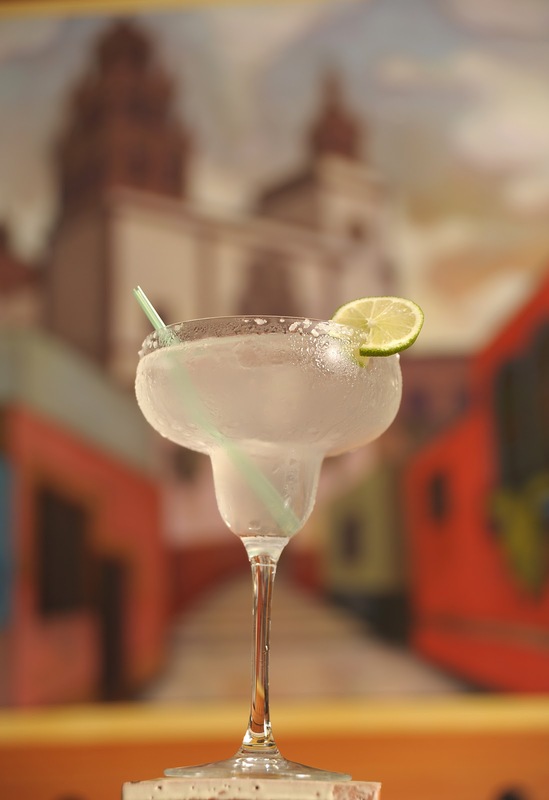 National Margarita Day is February 22, 2012, and Guanajuato Contemporary Mexican and Tequila Bar (73 Green Bay Rd., Glencoe, IL 60022; 847-242-0501) is just the place to celebrate. 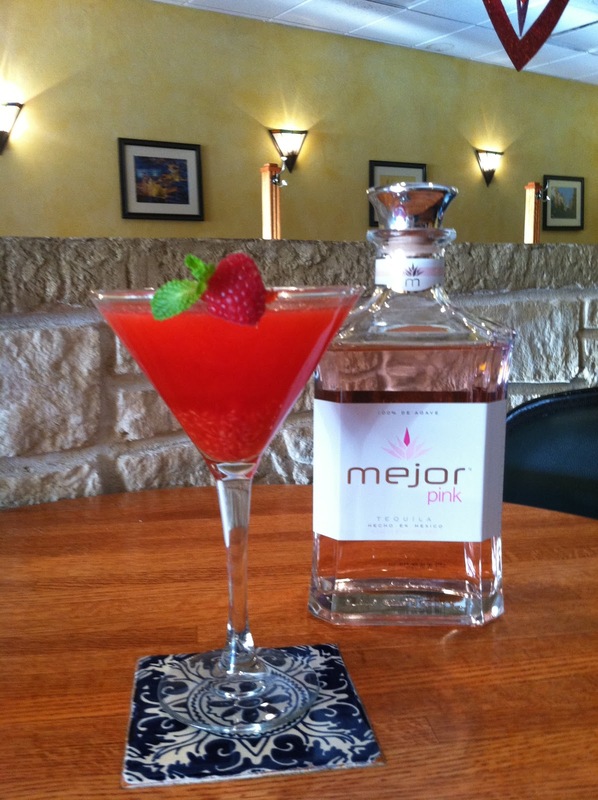 The north shore Mexican restaurant has everything anyone would need for the perfect Margarita Day celebration. Chef/owner Margarita Challenger is known for making a perfect namesake margarita. Having just introduced their Valentine’s specialty, the Raspberry Margarita with Pink Tequila, the restaurant boasts the ability to offer customers custom-made concoctions to suit their tastes, using any of their more than 50 tequilas from which to choose. Guanajuato often offers margaritas in Mango, Super Fruit Acacia and Spicy Orange in addition to more classic margarita flavors. From brand favorites like Patron, to celebrity favorites like Justin Timberlake’s Silver 901, to high-end choices like Asombroso Extra Anejo, Guanajuato knows tequila. Mixed with your favorite fruit on the rocks or blended, the ideal margarita is in your reach. You won’t be able to tell whether you’re in chilly Illinois or sunny Mexico. Guanajuato is the perfect place to shake the winter blues and relax on a beach with a drink – even if it is imaginary. Happy Margarita Day! The Dental Salon Team has come together this winter with Live to Support Chicago to play Dodge ball in support of the Chicago Dental Society Foundation, the philanthropic arm of the Chicago Dental Society. In the last five years, the Chicago Dental Society and its foundation have donated more than 400,000 toothbrushes and tubes of toothpaste to families in need. And now The Dental Salon Team is helping them to reach even more! Every Tuesday Dental Salon battle it out on the dodge ball court against other teams supporting great causes, spreading awareness and competing to win $500 for the charity of the team's choice they play for! Did you know donating $250 will provide dental supplies to an entire grade? Dental "giving" fact! Check out Dental Salon's Facebook page to keep up with the Tooth Buster's stats and photos! This is part of Kurman Communications' Free Release Tuesdays series. Are you a non-profit or charity with an upcoming event? Let us help promote it with our new service, FRT- Free Release Tuesdays.What is it? All you have to do is send us news on your upcoming event, including the details-- date/time, location, images, a link to a website, etc. We'll pick our top selections and post them on our highly-read blog! Got Buzz receives thousands of page views monthly by consumers and journalists who are looking for things to do and content to feature. Fleming’s Prime Steakhouse & Wine Bar (960 Milwaukee Ave., Lincolnshire, Ill.; (847) 793-0333) is hosting the Nehara Group from Hadassah, the Women’s Zionist Organization of America, for their 2nd Annual Spring Fashion Show at 11:30 a.m. Sunday, March 13. About Fleming's Prime Steakhouse & Wine Bar Nationally acclaimed Fleming's Prime Steakhouse & Wine Bar offers the best in steakhouse dining - Prime meats and chops, fresh fish and poultry, generous salads and side orders-with a unique wine list known as the "Fleming's 100™" that features 100 wines served by the glass. Fleming's was launched in Newport Beach, Calif. in 1998 by successful restaurant industry veterans Paul Fleming and Bill Allen. Today there are 64 restaurants nationwide. Fleming's is the recipient of numerous prestigious awards, including Wine Spectator's annual Awards of Excellence, and Wine Enthusiast's annual Awards of Distinction. To many people, the middle of February simply means winter, but for Chicago restaurants, this time of year is a cause for celebration. February 17 through 25 food enthusiasts’ favorite event: Chicago Restaurant Week. During this week, many restaurants in Chicago offer special prix-fixe menus for diners to experience some of their favorite restaurants or discover new favorites for a great value. With the amount of great restaurants in Chicago, choosing from the long list of participating restaurants can be daunting. Here are some of our favorite suggestions. Francesca’s restaurants have three Chicago locations participating in Restaurant Week. Francesca’s Bryn Mawr (1039 W. Bryn Mawr Ave., Chicago, IL 60660; 773-506-9261), Francesca’s on Taylor (1400 W. Taylor St., Chicago, IL 60607; 312-829-2828) and Francesca’s on Chestnut (200 E. Chestnut St., Chicago, IL 60611; 312-482-8800) will all feature special Restaurant Week menus for lunch and dinner. The four-course lunch menu is $22 per person. The lunch menu includes Bruschetta alla Romana served with a cup of their soup of the day, a choice of Francesca Salad or Asparagus Salad, an entrée choice of Ravioli ai Spinaci or Pollo alla Romana, and a dessert choice of Tiramisu or Profiteroles. Francesca’s five-course dinner menu starts with a choice of Bruschetta alla Romana or Calamari fritti. The menu continues with a choice of Francesca Salad or Asparagus Salad, a pasta choice of Ravioli ai Spinaci or Rigatoni alla Bolognese, and an entrée choice of Pollo al Limone or Tilapia con Funghi. The menu concludes with a choice of Tiramisu or Profiteroles. The dinner menu is $33 per person. 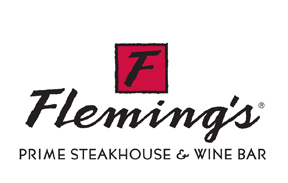 Fleming’s Prime Steakhouse & Wine Bar (25 E. Ohio St., Chicago, IL 60611; 312-329-9463) features a Restaurant Week menu for dinner. Their three-course menu is $44 per person. The first course is a choice of Newport Beach Clam Chowder or Fleming’s Salad with cranberries and candied walnuts, tossed in a lemon balsamic vinaigrette. This is followed by entrée choices which include a Petite Filet of their most tender filet beef, Double Breast of Chicken baked in a white wine, mushroom, shallot and thyme sauce, or Scottish Salmon served with a barbeque glaze and three mushroom salad. Diners have a choice of Mashed Potatoes with blue cheese, parmesan peppercorn or roasted garlic or Creamed Spinach as their side. The menu ends with a choice of two of Fleming’s amazing desserts, Crème Brule, creamy Tahitian vanilla bean custard with fresh seasonal berries or Cheesecake with white chocolate and blueberries. Chicago Restaurant Week is not the only week to celebrate great dining in Chicago, but it can certainly make the experience more fun and a little easier on your wallet. For a full list of participating restaurants and menus, visit the Restaurant Week website. presents a wine dinner featuring the Italian wines of Buglioni Vineyards.Tickets are $58 per person, excluding tax and gratuity. Reservations are required. The evening begins with Crostini con Fegatini di Pollo con Ricotta e Pomodorini, crostini with chicken liver pate or with ricotta and sweet tomatoes. This is paired with “Il Vigliacco” Brut Rose. Following this is Gamberoni con Cannellini al Rosmarino, jumbo shrimp with cannellini beans and rosemary topped with arugula, paired with “Il Intruso” Bianco Veronese. The next course features Pappardelle con Funghi Selvatici e Polletto, handmade pappardelle with wild mushrooms ragu and charred chicken breast with Parmigiano. The Valpolicella Classico wine pairs perfectly with this course. Next is Costine di Bue Agli Aromi con Polenta Bianca, braised short ribs with herbs, au jus and creamy white polenta paired with “Il Bugiardo” Valpolicella Classico Superiore Ripasso DOC. The dinner ends with Degustazione di Formaggi con Frutta, a cheese tasting with fruit, nuts, sweet gorgonzola and pecorino grand cru. “L’Amarone” Amarone della Valpolicella is paired with this course. One of everyone’s favorite indulgences is a great glass of wine. Whether your preference is white or red, good wine is the perfect addition to a great meal, an evening with friends or just a relaxing night at home. However you enjoy your wine, today is the perfect day to celebrate - February 18 is National Drink Wine Day! If you’re looking for an extensive collection of wines by the glass to celebrate wine today, look no further than Fleming’s Prime Steakhouse & Wine Bar (25 E. Ohio St., Chicago, IL 60611; 312-329-9463 and 960 Milwaukee Ave., Lincolnshire, IL 60069; 847-793-0333). With over 100 wines by the glass, Fleming’s has a wine option for every palate and price point. Fleming’s has also recently introduced their Icon Wine for 2012, the Swanson Family Alexis Cabernet Sauvignon 2007. 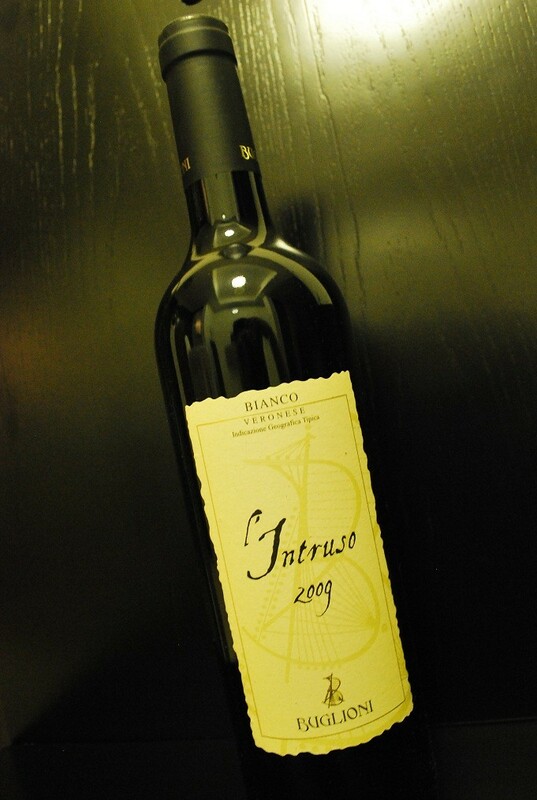 This wine is available for $95 a bottle through March 31, or while supplies last. 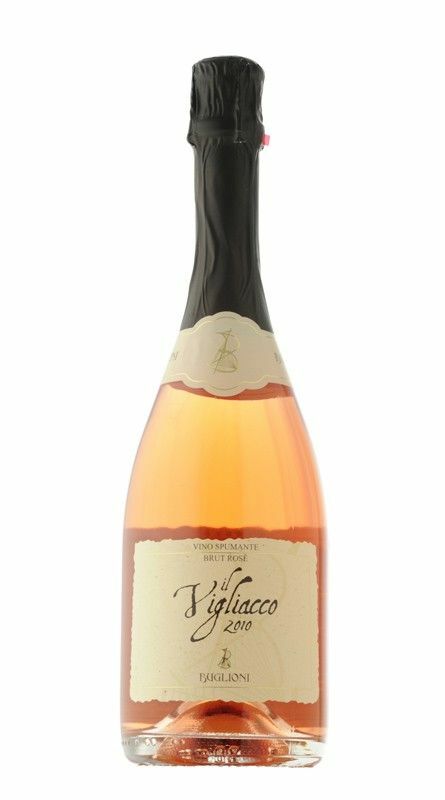 This wine is “a wine lover’s wonderland,” says Fleming’s National Director of Wine, Maeve Pesquera. For more information on Fleming’s Icon Wine, visit their website. If Fleming’s selection makes it impossible for you to choose just one, the restaurant also offers their Wine Flight. This gives you two ounces of three wine choices from the Fleming’s 100 Wine menu. It’s a great way to expand your palate and experiment to discover which wines and pairings you like best. There’s never a bad day to drink wine, but today is an especially great day to indulge! Pay your local Fleming’s a visit and don’t forget the wine. Come and get it! 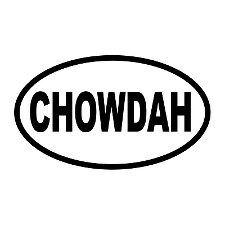 Chowdah Fest has returned! The second annual Chowdah Fest: Chicago is set to take place 6:30-9 p.m. March 5 at the Columbia Yacht Club (111 North Lake Shore Drive) and is shaping up to be the better than ever before. Twelve chefs have signed on to participate in this year’s event with the hopes of received the coveted title of “Best Chowdah in Town”. Its audience choice for the win, and with recipes from acclaimed Chicago restaurants and chefs Giuseppe Tentori of GT Fish & Oyster, Mark Stauer of the Bedford, Susan Goss of West Town Tavern, Nicole Pederson of C-House, Jeffrey Hedin of Leopold, Julius Russell of Tale of Two Chefs , Chris Turano of Estate Ultra Bar, Dan Marquis of Quay, Guy Meikle of Nana Organic, Jonathan Lane of Benny's Chop House, The New England Seafood Company, and Brandon Baltzley; you’ll vote on your favorite. It’s sure to be a difficult decision. 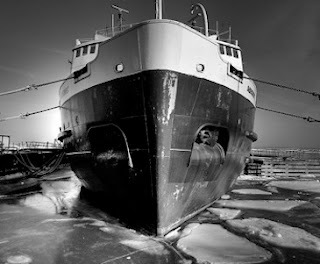 Setting the perfect stage for Chowdah Fest is the 1940’s era Icebreaker on the harbor of the Columbia Yacht Club. Goose Island will be providing beer selections including vintage ales to pair with the savory seafood recipes, and wine will also be available. Ticket prices are $35 - $50 (depending on when you order) to attend and proceeds will go to the Sea Scouts youth sailing program. Tickets can be purchased here. Space is limited so snag your tickets today to take part and cast your vote! Who says the Magnificent Mile gets to have all the fun? With a highly successful Henri Bendel re-opening in downtown Chicago after a 13 year absence in the Windy City, this famed luxury retailer will be opening a second location at Westfield Old Orchard in Skokie this May. The new store will occupy 2,352 square feet near Lord & Taylor. Known for its lavish and trendy fashion accessories, handbags and cosmetics, Bendel’s is a highly anticipated treat for all of Chicagoland’s fashion savvy! The iconic brown and white stripes of the self-proclaimed “girls’ playground” will be seen just in time for spring. The opening of the Henri Bendel store is just one of many steps the shopping center has taken to create a more upscale and interactive shopping experience for customers. “Henri Bendel is a perfect match for our center,” Westfield Old Orchard General Manager, Tim Geiges exclaimed. “We draw from a very diverse crowd and Bendel’s is well suited to our sophisticated North Shore and Chicago shoppers.” Henri Bendel is in good company at Westfield Old Orchard, joining other key retailers like Nordstrom, Macy’s, Bloomingdale’s and Tiffany & Co. This opening is a key component of the resurgence of the Henri Bendel brand, as it expands into shopping centers throughout the country. In addition to its flagship Fifth Avenue location in New York, it currently operates 19 stores in the U.S. and plans to have 9 more operating by the end of 2012. Henri Bendel won’t be the only business triggering change at the shopping center— new store openings are also causing a buzz. The first and only location in the Chicago area, Madewell opened its 3,300 square foot boutique located near Macy's, between Swarovski and Godiva in Fall 2011. Madewell has a tradition of old-school quality that goes into everything they do. Specializing in timeless jeans and accessories, this women’s jean emporium has an edgy take on casual with a few vintage details and a modern twist. Also making a recent debut, Timberland opened for the first time at Westfield Old Orchard in Fall 2011. The Timberland lineup features tough, rugged footwear and apparel made with the environment in mind. All traditional styles as well as the new Earthkeepers boot collection are available. The Earthkeepers collection uses bionic canvas yarn made up of 50% organic cotton and recycled materials including 38% plastic from recycled bottles. The 2,299 square foot space located near Lord & Taylor has been a mecca to those adventurous shoppers who feel at home in the great outdoors. 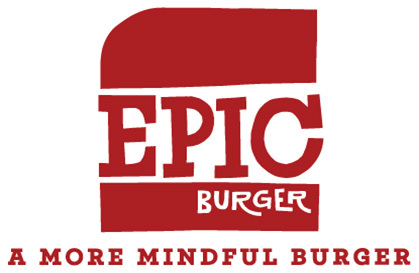 Epic Burger has opened its first location outside of Chicago city limits at Westfield Old Orchard. Opening in Fall 2011, the 1,498 square foot restaurant, is located next to Crate & Barrel, across from L. L. Bean and provides Westfield shoppers with delicious cooked-to-order burgers made of 100 percent fresh chuck, all natural beef – no hormones, no antibiotics, and fed a strict vegetarian diet. Additional offerings include tasty turkey burgers, all natural chicken breast sandwiches, BLTs and a very veggie portabella sandwich. Complete your sandwich with high-quality toppings such as all natural Wisconsin cheese, cage-free organic fried eggs and nitrate-free bacon. Fresh cut fries, hand crafted malts and shakes round out this tasty new option at Westfield Old Orchard. Since 2004, Soma Intimates has created pieces to make women feel beautiful and comfortable in their own skin. Westfield Old Orchard’s location has moved from its current space near Lord & Taylor, to its new 1,642 square foot space near Crate & Barrel. Known across the board or their smart and sophisticated men’s suiting, Brooks Brothers will be moving from its current location near Nordstrom, and re-opening a 7,704 square foot flagship store next to Barnes & Noble this April. Specialty women’s retailer Coldwater Creek will be re-opening in April 2012, after moving to its new 5,075 square foot space easily located right next door to its existing location. No need to roam far to stay fashionable! Henri Bendel was purchased by Limited Brands in 1985, and chose to sell fashion accessories, cosmetics and gift items exclusively after the 2009 decision to stop carrying apparel. Its flagship New York store was established in 1895 and is currently located at 712 Fifth Avenue. It was the first retailer to bring the designs of Coco Chanel over to the United States from Paris and still continues to maintain this tradition of introducing influential socialites to what's new and next in fashion. February is a month celebrating one of our favorite things: snack foods! For that little nibble between meals or something to munch on while watching TV or getting work done, snack foods are a part of our everyday lives. One of the best places to find unique foods to snack on is the Chicago French Market. With a wide variety of vendors, you can find a great snack regardless of your taste buds’ preferences. For your inner health nut, check out Raw. at the Chicago French Market. With a variety of muffins and granola to act as mid-day munchies, they also offer a selection of super food smoothies, sunflower sprouts, vitamins, wheat grass shots, coconut water and rejuvelac. RAW could put you on track to regaining a healthier lifestyle through the act of snacking! Who said snacks are meant to be crunchy? A take a refreshing break in your day and get and energy boost with a fresh, squeezed-to-order juice from Loop Juice! Create your own juice blend from fresh seasonal fruits and vegetables and homemade smoothies. Perfect for the health-conscious snacker on-the-go! For those of you whole love an injection of sugar to keep you going or just like to indulge your sweet tooth for fun, Delightful Pastries has you covered! For the serious snacker, these authentic hand-made European treats are made using local, natural and sustainable grown ingredients. And don’t fret about your figure, many of the items have low-sugar counterparts. Their tasty snacks include seasonal breads, yummy cookies, bars, cakes, pierogis and quiches; and for the early-morning snacker: morning pastries! Snacking for a good cause makes getting your midday pick me up from Sweet Miss Giving's even sweeter! 100% of all profits from the bakery and Chicago French Market's retail location go directly to Chicago House. An organization that provides housing and supportive services to HIV-affected and HIV-at risk families and individuals, who may also be impacted by poverty, homelessness, substance abuse, and mental illness. 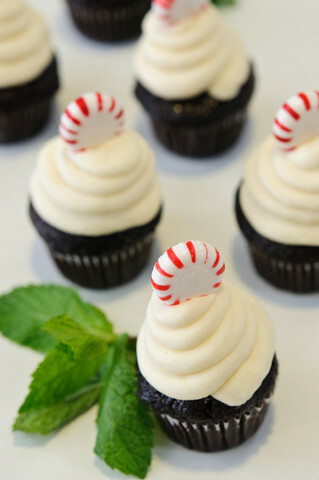 All of the sweet treats are made from scratch and preservative-free and feature delectable selections such as red velvet cupcakes, Biscotti and cookies. City Fresh Market offers an array of both savory and sweet snacks to satisfy a hunger of any size. Cheese and meat pies, cakes, cookies, breads and pastries act as some serious snacks for the seasoned snacker. Throw in a variety of seasonal vegetables, fruits and fresh-squeezed juices and the possibilities are endless! 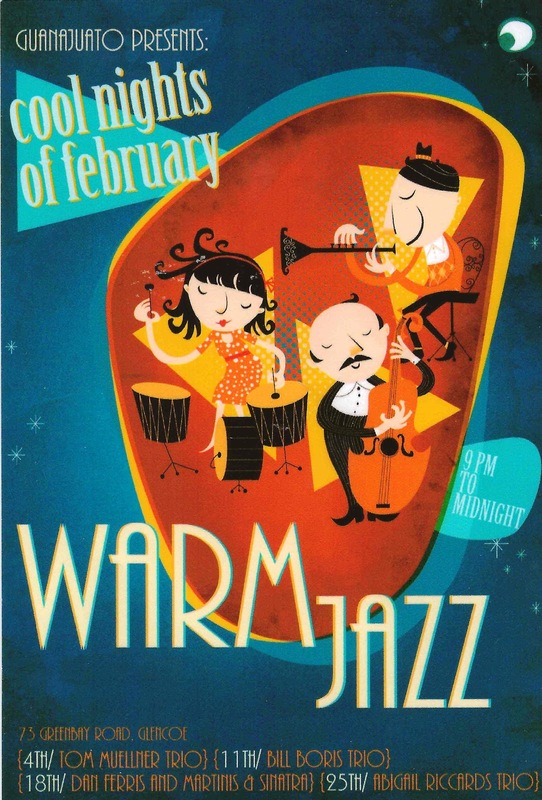 Looking for a romantic and fun evening with your Valentine? 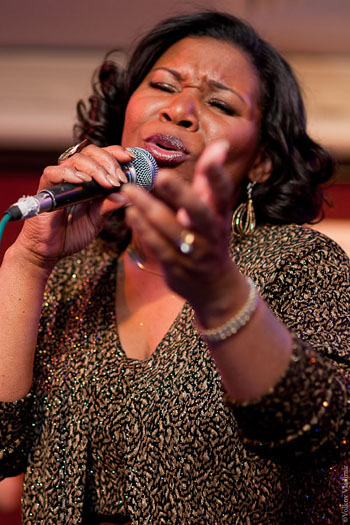 Maxwell’s at the Club (500 N. Kingsbury St., Chicago, IL 60610; 312-527-5800) has the perfect evening already planned for you! This Valentine’s Day, Maxwell’s is offering a traditional prix fixe menu with a Valentine’s Day Party. The prix fixe menu is $40 per person, not including alcohol, and includes an appetizer, salad, entrée and dessert. 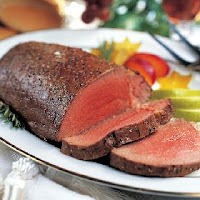 Entrée selections include steak and lobster tail, seafood, and Chateaubriand for two. After dinner, guests can head to the Valentine’s Day Party Riverview from 6 to 10 p.m. at no extra cost. The party will include a hors d’oeuvres buffet, cash bar and performance by cover band Midnight Sun. If you already have dinner reservations elsewhere, you can still join in the party! The price of the event for those not taking part in the prix fixe meal is $30 per person. To make reservations for your perfect Valentine’s Day at Maxwell’s, call 312-527-5800, extension 301. They’re excited to have you! Valentine's Day doesn't have to be a one-day celebration. With Francesca's Restaurants, you can extend the celebration for five days! Five Days of Valentine at Francesca's restaurants runs Friday, February 10 through Tuesday, February 14. During these five days, Francesca’s will feature a heart-shaped Pizza con Prosciutto e Rucola, arugula, lemon, olive oil, roasted plum tomatoes, mozzarella and Prosciutto di Parma, for $11.99. 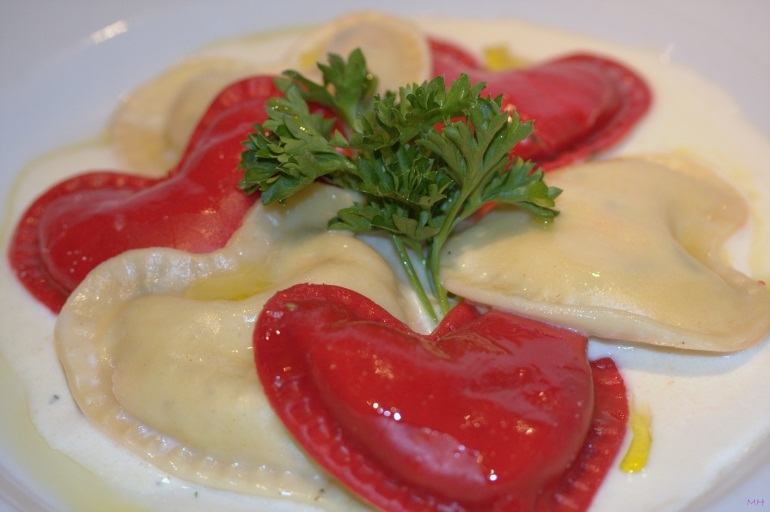 They also will feature the festive Ravioli Tartufati, heart-shaped pasta with a garlic Parmesan cream sauce, fresh tomatoes and a drizzle of white truffle oil for $16.99. (This pasta will be available at all locations except Francesca’s Forno). Francesca’s special edition “Hearts on Fire” Martini will also be available for $9. This tasty drink is made with vodka, Cointreau, Aperol, Disaronno and fresh lemon juice. For dessert, Francesca’s offers beautiful Torta di Frutta Della Passione, with white chocolate cream and fresh berries. Valentine's day at Francesca's is a unique and delicious treat sure to show the one you love just how much you care. Westfield Old Orchard takes to Facebook and the Twitterverse to deliver Valentine’s Day “Love Notes” and more! Starting today Westfield Old Orchard will send customers electronic messages of love via Twitter. Through its “Love Notes” promotion, customers can write special messages to their sweeties and Old Orchard will display them electronically on an LED screen located near Nordstrom above Rogers & Hollands. Senders can tweet their messages to Old Orchard using the twitter handle: @OldOrchard and the hashtag #LOVENOTES. Messages should display at Westfield within an hour of tweeting, so make sure to be near to view any special love note coming your way! Twitter isn’t the only social media outlet taking Valentine’s Day by storm. Customer’s pictures with Westfield Old Orchard’s “Larger than Life Ice Sculpture Displays” are gracing the shopping center’s Facebook page. Customers had a blast interacting with the Valentine’s Day inspired ice displays located throughout the center and taking heart-warming pictures. Photos are posted on Westfield’s Facebook page at www.facebook.com/westfieldoldorchard. Check them out now and “Like” your favorites! The person who submits the picture with the most likes will receive a $100 Westfield Gift Card. What a great Valentine’s Day treat! This evening, Wednesday, February 8, Fleming’s Prime Steakhouse & Wine Bar (25 E. Ohio St., Chicago, IL 60611; 312-329-9463) is hosting a benefit for Illinois Supreme Court candidate Joy Virginia Cunningham from 5:30 to 7:30 p.m. 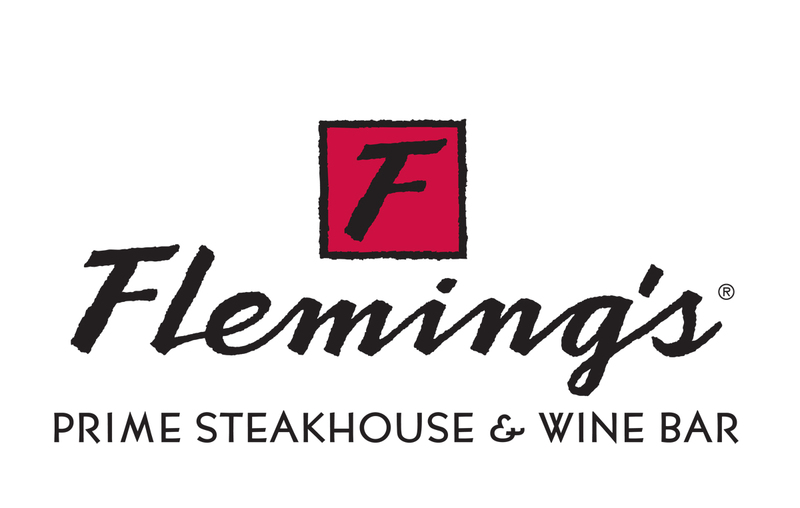 The event will feature some of Fleming’s fine wines paired with their incredible appetizers and small plates. Several business, philanthropic and community leaders will also be in attendance, and Cunningham will be making a special appearance. Guests will have the opportunity to speak with Cunningham and hear about her experiences and qualifications to serve on the Illinois Supreme Court. Combined with the sophisticated social atmosphere of Fleming’s and their delicious food and wine offerings, the evening is sure to be enjoyable. With more than 35 years of professional experience, Joy Cunningham is an experienced and passionate public servant whose life is dedicated to the welfare and security of her fellow Americans. Her professional life is focused on two of the most important issues of our time—health care and justice. A former critical care nurse and a graduate of John Marshall Law School, Cunningham has enjoyed a long and successful career in the business world. She has served as a Cook County Court Associate Judge, on the Illinois Appellate Court’s First District, Second District and the Appellate Court’s Executive Committee, and was the first African-American woman to be elected president of the Chicago Bar Association, the largest municipal bar association in the United States. Today, Justice Cunningham has the chance to make history once again as the first African-American woman elected to the Illinois Supreme Court. The tickets to the benefit are $150 per person. Individuals unable to attend may still donate to Cunningham’s campaign online at http://www.joycunninghamforjustice.com/. For more information about this event, email events@joycunninghamforjustice.com or call Michele Wilde at 312-750-0870.